When it comes to finding a used car dealer, you prefer for them to be on the same lot as the new car dealer in your area. That is why at our Jeep dealership in Cicero, we have everything, from the used to the new Jeep Cherokee and Jeep Compass, for you to choose from. Searching for a Jeep dealer, a Dodge dealer, a Chrysler dealer, a Ram dealer or even an SUVs dealer to meet your need for new or used cars and trucks? 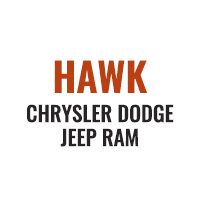 Never fear; we here at Hawk Chrysler Dodge Jeep Ram carry them all. We have served the residents of Cicero and the surrounding areas for quite some time and hope to be doing it for a long time to come. At Hawk Chrysler Dodge Jeep Ram, we don’t just sell you a new or certified pre-owned vehicle; we have the shop to service and repair those cars and trucks as well. When it comes to dealing with us, you can find it all in one place, plus you’ll receive service with a smile. Below, you will find more information about the new and used cars we carry to help you get started on the path to a car you can love. Do you want a new vehicle but can’t afford the price? You will be happy to learn while Hawk Chrysler Dodge Jeep in Cicero is a new car dealer, we are also a used car dealer offering top quality vehicles at affordable prices. As a certified Chrysler dealer, you can count on us to deliver outstanding quality with every vehicle, new or used. You won’t be disappointed like you may be at another cars, trucks and SUVs dealer in the area. We have a huge selection and great prices. When it comes to top-notch service, our team delivers. At Hawk Chrysler Dodge Jeep, we are also a quality Dodge dealer in the area, providing superior new and used Dodge models to our customers. You don’t have to second guess if you are buying quality because we provide service before, during and after the sale. Do you love the Jeep brand? So do we! If you are looking for quality Jeep dealers working at a top-notch Jeep dealership in Cicero, you are in the right place. In addition to keeping the popular Jeep Cherokee and Jeep Compass in stock, we are also a pre-owned car dealer. This means you can find your favorite Jeep at an affordable price. You can’t be too careful when it is time to purchase a new or used vehicle. As a Ram dealer, you can count on our team to help you find the vehicle that suits your needs and budget. Are you ready to find the car of your dreams? Visit us at Hawk Chrysler Dodge Jeep Ram for more information and to find the car, along with the customer service on which you can depend! If you are searching for a quality dealership with amazing deals, look no further than what we have to offer. Contact us today to learn more about our selection in Cicero.